I report here on two Marinello related developments. 1. In United States v. Adams (D. D.C. No. 15-44 (JEB) Dkt. 94), here, the district court vacated Adams' (called Heru-Bey in the opinion) conviction for tax obstruction, § 7212(a). The case was at the district court level because the Court of Appeals remanded the case sua sponte after the Government conceded that "the jury instructions — which did not contain the nexus requirement or detail the nature of the requisite IRS proceeding — were error, and that error was plain at the time of appellate consideration.” (Cleaned up.) In its opinion, the district court (Judge Boasberg) found that there was there was error, the error was plain, the error affected Adams substantial rights, and Adams had been prejudiced. The Court accordingly vacated the conviction and permitted "the Government to retry the case if it so elects." Again, Marinello does not countenance such a broad understanding of § 7212. See 138 S. Ct. at 1107. The Court there specifically rejected as overbroad the argument the Government now presses — namely, it reasoned that § 7212 is “not . . . a ‘catchall’ for every violation that interferes with what the Government describes as the ‘continuous, ubiquitous, and universally known’ administration of the Internal Revenue Code.” Id. (citation omitted). The Court notes, finally, that the Government declined a special unanimity instruction at trial. See 5 Tr. at 84. That is, it did not ask that the jury, to find Defendant guilty, be instructed that it must be unanimous as to which one or more of the Government’s three theories of obstruction was the basis. As a result, even were one of these theories valid, there would be no way for this Court to know that the jury meant to convict on that one and not the invalid others. d. Supreme Court's Decision in Marinello v. United States Flynn argues that the Klein conspiracy charged in Count 1 under 18 U.S.C. § 371 did not properly state an offense after the Supreme Court's decision in Marinello, 138 S. Ct. 1101. Because Marinello was decided in March 2018, almost three months before Flynn entered his plea and nearly nine months after he sought to withdraw the plea, this argument is in effect an untimely Rule 12 motion. In Marinello, the Supreme Court interpreted the scope of 26 U.S.C. § 7212(a)'s Omnibus Clause, which forbids "corruptly or by force or threats of force . . . obstruct[ing], or imped[ing], or endeavor[ing] to obstruct or impede, the due administration of the [Tax Code]." Id. at 1104; 26 U.S.C. § 7212(a). The Supreme Court examined the language, statutory context, and legislative history of the clause and concluded that "'due administration of the [Tax Code]' does not cover routine administrative procedures that are near-universally applied to all taxpayers, such as the ordinary processing of income tax returns. Rather, the clause as a whole refers to specific interference with targeted governmental tax-related proceedings, such as an investigation or audit.'" Id. Based on this narrow interpretation, the Supreme Court held that to obtain an obstruction conviction under § 7212(a), the government is required to show a nexus between the defendant's conduct and a particular IRS proceeding that was pending or reasonably foreseeable at the time the defendant engaged in the obstructive conduct. Marinello, 138 S. Ct. at 1109-10. Flynn argues that the nexus element of 26 U.S.C. § 7212(a) applies equally to a Klein conspiracy charged under 18 U.S.C. § 371 because the language used for charging Klein conspiracies is identical in scope to the language at issue in Marinello. Flynn contends that the limitation in Marinello must be imported to Klein conspiracies to avoid an overly broad application of § 371. The Court disagrees. Section 371 makes it a crime for "two or more persons [to] conspire either to commit any offense against the United States, or to defraud the United States, or any agency thereof in any manner for any purpose." 18 U.S.C. § 371. As the statutory text indicates, § 371 has two prongs-an "offense" prong and a "defraud" prong. Flynn is charged under § 371*s defraud prong. Unlike the offense prong, the defraud prong does not require the existence of an underlying offense. See United States v. Tuohey, 867 F.2d 534, 537 (9th Cir. 1989) ("[T]he defraud part of section 371 criminalizes any willful impairment of a legitimate function of government, whether or not the improper acts or objective are criminal under another statute. "); United States v. Rosengarten, 857 F.2d 76, 78 (2d Cir. 1988) ("A conspiracy to frustrate or obstruct the IRS's function of ascertaining and collecting income taxes falls clearly within the ban of section 371. This is so even though the contemplated substantive acts, standing alone, would not constitute a federal offense.") (internal citations omitted). Additionally, the Supreme Court has long interpreted § 371's defraud prong as "broad enough in its terms to include any conspiracy for the purpose of impairing, obstructing or defeating the lawful function of any department of government." Haas v. Henkel, 216 U.S. 462, 479 (1910). In recent years the Supreme Court was presented with the opportunity to clarify or narrow the scope of § 371 conspiracies, but declined to do so. Specifically, in 2012 the Second Circuit rejected a vagueness challenge to Klein conspiracies by stating that "the Klein doctrine derives from and falls within the scope of the law . . . grounded on long-lived Supreme Court decisions," and that "such arguments are properly directed to a higher authority." United States v. Coplan, 703 F.3d 46, 62 (2d Cir. 2012), cert. denied 571 U.S. 819 (2013). The Supreme Court declined to grant certiorari in that case, thereby leaving its longstanding precedent in place. Coplan, 571 U.S. 819. Marinello does not address § 371, and the Court does not construe it as silently overturning the well-settled law governing conspiracies to defraud the United States. For my prior blog on this issue, see What Are the Implications for Marinello on the Defraud / Klein Conspiracy? 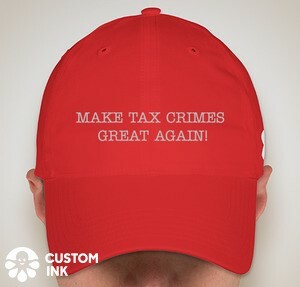 (Federal Tax Crimes Blog 3/24/18), here. In a prior version of the CTM, DOJ Tax asserted that tax obstruction may be charged where the Klein conspiracy is “unavailable due to insufficient evidence of conspiracy.” CTM 17.02 (2001 ed.). The 2008 version of the general subject is in § 17.00 and refers to Directive 129 which superseded Directive 77. The language quoted in the text from the 2001 version incorporating Directive 77 is omitted from the superseding Directive 129. I don't think that omission is a concession of the point, however. Tax obstruction, § 7212(a), has been has been called a one-person conspiracy, which would perforce be the defraud/Klein conspiracy (rather than an offense conspiracy). David F. Axelrod, Larry A. Campagna, James A. Bruton III, The “New” Tax Laws - 26 U.S.C. Section 7212(a) and the One-Person Conspiracy (Paper prepared for ABA National Institute on Criminal Tax Fraud in 1999); Roger Russell, No More One-Person Conspiracies (Accounting Today 3/27/18) (discussing Marinello); Sandra Brown, Los Angeles Lawyer – A Taxing Impediment – Marinello v. United States (Tax Litigator Blog 1/12/19), here ("Section 7212, the so called “one person conspiracy” statute"); and The Intersection of Conspiracy and Tax Obstruction (7212(a)) (Federal Tax Crimes Blog 1/16/14), here. The point in Judge Kozinski's forceful opinion in Caldwell and the Supreme Court's forceful opinion in Marinello is that there needs to limiting principles that put reasonable boundaries around what the sweeping scope of the traditional formulations of both the defraud/Klein conspiracy and the tax obstruction crime. I think the boundary put in Marinello should also apply to the defraud/Klein conspiracy. The Flynn court held otherwise. Perhaps there will be an appeal.